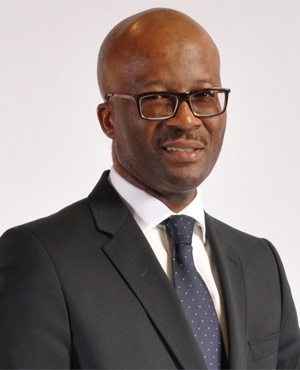 The culture of consequence management should be instilled in government and those implicated in corruption must know it cannot go unpunished, National Treasury director general Dondo Mogajane said on Wednesday. The erosion of public resources through “brazen theft” must be dealt with, said Mogajane. He was delivering the keynote address at the second Public Financial Management Conference which is being held in Midrand, Gauteng over the next three days. Earlier on Wednesday members of the standing committee on public accounts called off a meeting with Treasury, where they were to have been briefed on deviations and expansions in procurement processes by national departments. MPs were dissatisfied that Mogajane was not at the meeting and that chief procurement officer Willie Mathebula was sent to give an account instead. However, at the conference Mogajane spoke on implementing consequence management for corruption and non-compliance. “Those who have been found to have subverted the law and policies set for good governance must be made to face the consequences of their actions,” he told the conference. Oversight structures need to do fulfill their roles in ensuring accountability for the way public finances are spent. “Audit committees for instance have an important role to play in ensuring that governance is supreme in all entities. "Executive authorities are the next layer and they have to play an important role in ensuring that financial resources are not spent without fruits to show for them. “Other layers of oversight also need our support to ensure that those who are deviant are brought to book,” he said. Mogajane said that working for the state is a higher calling to serve the common good, and that anything that detracts from that should be regarded with suspicion and disdain. He also explained that the poor perception around transformation is because of incidents of fronting, bribery and collusion. He said National Treasury is working on interventions to ensure real transformation through the Public Procurement Bill. Even though government is also doing its part in opening up spaces through legislation and regulation, continued wastage of public funds is an obstacle to the transformation agenda, he explained. He encouraged delegates to play their roles to move the country forward.